2017 Glasbene migracije: Stičisšče evropske glasbene raznolikosti . Weiss, J. (ed.). Ljubljana: Narodna in univerzitetna knijižnica [Musical Migrations: Crossroads of European Musical Diversity] p. 17-32. Georgian scholars like to refer to their constituent musical traditions as ‘dialects’. But visits to the borderlands of the state (notably Svaneti and Tusheti) suggest that this may be the wrong metaphor, given the affinities of these traditions with North Caucasian practices (Kabardino-Balkaria and Chechnya / Dagestan respectively). If we visit yet another Georgian ‘borderland’, Abkhazia, the issue comes into yet sharper focus, since here musical affinities with North Caucasian (Circassian) traditions serve to underline the contested politics of the state. An Abkhaz-Adygean (Circassian) culture survives today as much (or more) in Turkey as in its ancestral homelands, following the expulsion of populations in the 1860s. It has been cultivated above all in the Circassian Associations of cities such as Kayseri and Ankara, where music and dance (even more than language) have been important markers of cultural and political identity in a context of frequent minoritarian oppression. Since the 1990s, however, return to the Caucasus has become possible, whether as occasional visits, as a vie bifurquée, or as full settlement. There can also be movement in the other direction, and of course the Internet can now enable ‘virtual returns’. In this context, music and dance become the litmus tests of allegiance. Jim Samson is Emeritus Professor of Music at Royal Holloway, University of London. He has published widely on the music of Chopin and Liszt, on analytical and aesthetic topics in nineteenth- and twentieth-century music, and on the cultural histories of East Central and South Eastern Europe. In 1989 he was awarded the Order of Merit from the Polish Ministry of Culture, in 2000 he was elected a Fellow of the British Academy, and in 2016 he was awarded an honorary doctorate by the Ionian University. He is currently working on a book entitled Black Sea Sketches: Music, Place and People. 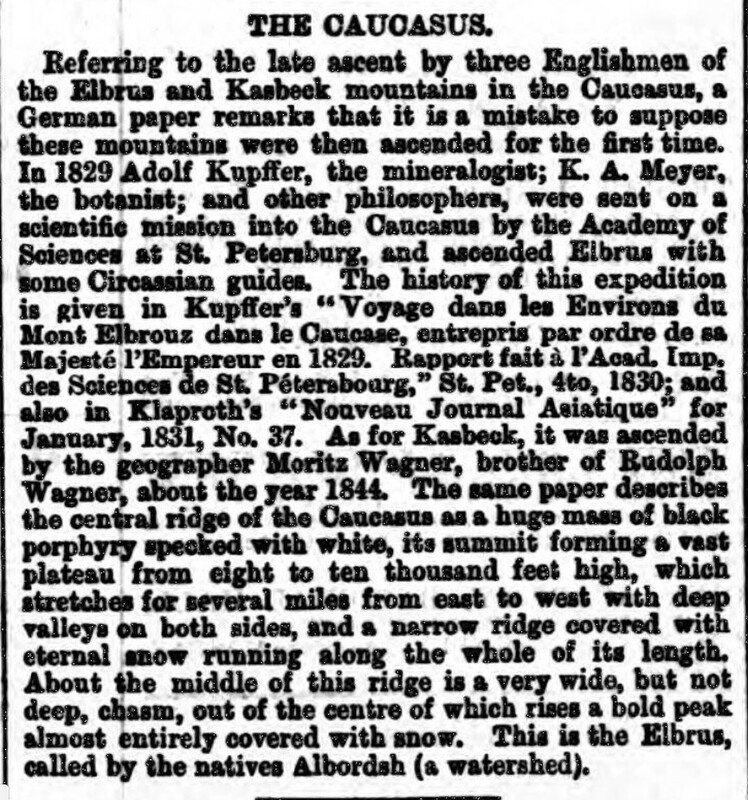 This paper is about Circassians, whose ancestral homeland lies north of the Greater Caucasus mountain range, but many of whom were exiled to Anatolia and beyond in the 1860s. I will get to that story shortly. However, I want to begin with Georgia, which lies south of the mountain range, and specifically with the Georgian borderlands. Everyone knows that Georgia is proud of its traditional polyphony. It has become something of a national symbol. As such it helped preserve a sense of Georgian identity during Soviet times, and it has been worn as a badge of pride since the declaration of independence in 1991. Indeed, following its recognition by UNESCO in 2001, Georgian polyphony has been all but fetishized in its homeland. The scholarly emblem of this is the Centre for Traditional Polyphony at Tbilisi Conservatory, with its biennial published symposia produced by an energetic team of scholars under the direction of Rusudan Tsurtsumia. Yet all this needs a little scrutiny. Georgia comprises regions that have their own languages, their own histories, and their own strongly developed sense of cultural identity. So we should, I think, be a little cautious of the tendency of Georgian scholars to label their regional polyphonic practices as musical ‘dialects’, with the implication that they are variants of a unified national culture. In the course of fieldwork in Georgia I visited song masters in both the north-western and the north-eastern borderlands. When I listened to the music of Svaneti in the western mountains, it was immediately obvious that this simple homorhythmic polyphony had little in common with the complex textures of Guria, Mingrelia or Adjara down on the Black Sea littoral. Georgian scholars have assigned various labels to it, including ‘synchronised polyphony’ and ‘chordal units polyphony’. The labels are unsatisfactory (at least in translation), but they do at least draw attention to the prevailing homophony, within which there exists a kind of dialectic between independent and interdependent part movement. The inclination of the singers is to a normative organum-like parallelism, coloured by non-tempered tunings. But the individual parts constantly seek to break free from this norm, deviating from the pervasive parallelism to generate idiomatic dissonant harmonies. Now the Svaneti song master Islam Pilpani assured me that you hear rather similar music on the other side of the mountain range, in what are now the Russian republics of Karachay-Cherkessia and Kabardino-Balkaria, and I was later able to confirm this on a visit to the North Caucasus. The Maykop-based ethnomusicologist Alla Sokolova told me that, aside from the language, she could barely distinguish Svaneti singing from the eastern Circassian singing in Karachay-Cherkessia (even today, political borders are not easily controlled in these high mountains). So I have to be suspicious of the pedigreed narrative about dialects. 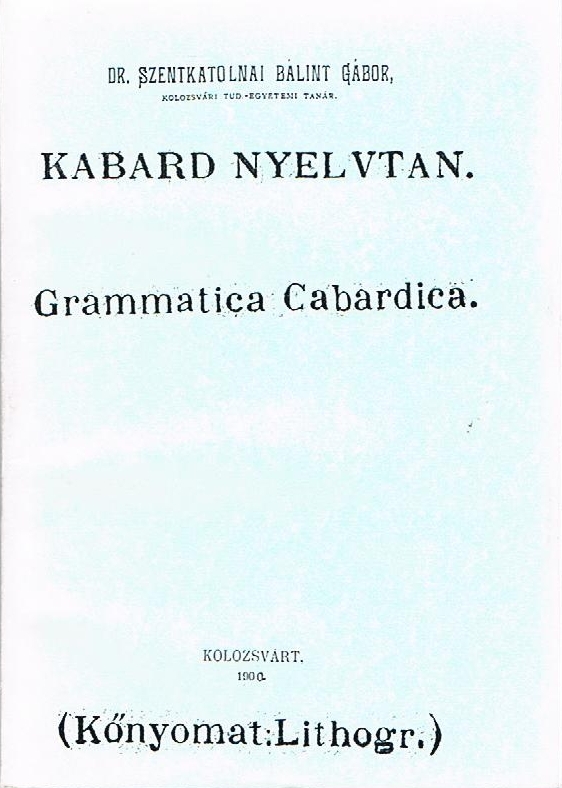 And by the way in some accounts it even becomes an historical narrative, with the Svanetian tradition represented as an early stage in the evolution of Georgian polyphony. What is clear is that cultural and political borders are out of sync. Sometime after the trip to Svaneti I visited Tusheti in the eastern mountains. And it was while I was looking around the ethnographic museum in Zemo Alvani, on the border between Kahketi and Tusheti, that I heard a rather haunting music played on accordion in another part of the building. When I sought it out, it transpired that the performer was Eliko Torghiraidze, niece of the well-known Tushetian musician Epiro Torghiraidze, and one of the few people currently performing a traditional Tushetian repertory on the instrument today. I was taken aback when I heard this music, for it was actually a style I recognised. 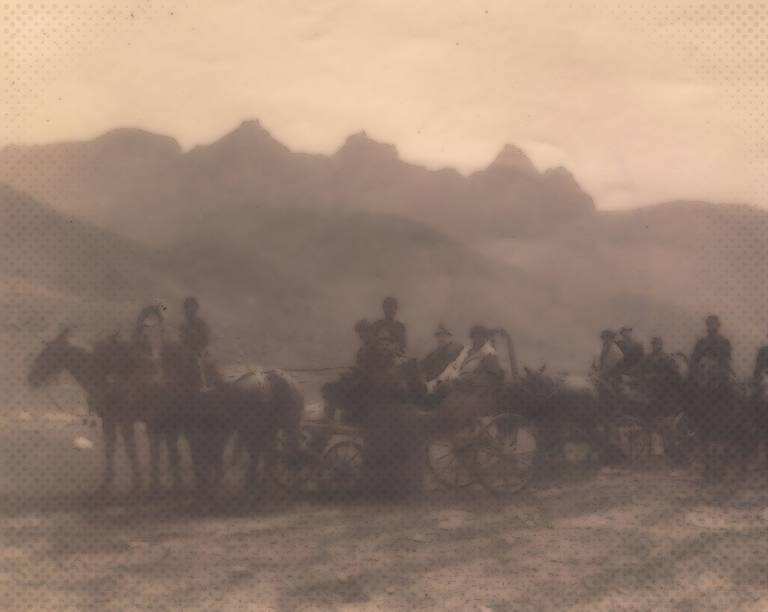 Six months earlier I had been in central Anatolia among the Circassian diaspora communities. The music played by Eliko instantly recalled music I had heard there, music that had originated in the North Caucasus. There were differences of course, but the underlying harmonic basis, often a simple alternation of a major triad and the minor triad a tone higher, was the same, as was the repetitive rhythm and the dense layer of trilled ornamentation over alternating pedal points. If we insist on invoking dialects here, we might want to claim that this music is a dialect not so much of Georgian as of North Caucasian music. 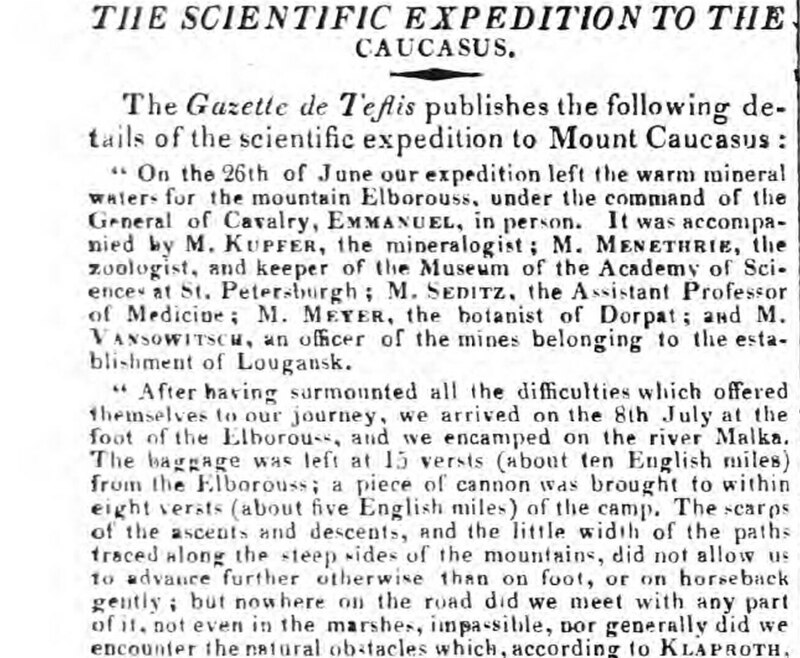 In other words, I was discovering that the musical idioms of the North Caucasus had spilled over the mountain range to Tusheti in eastern Georgia. Again I had to question the Georgian narrative. What we actually see in both these borderlands is a political boundary dividing a shared culture. This is not exactly uncommon. One only has to think of the traditional polyphony of Epirus, labelled by UNESCO as ‘Albanian folk iso-polyphony’, but also performed by Greek singers (in the Greek language of course) on the other side of the political border, and indeed by Vlach singers (in the Aromanian language) on both sides. None of this should surprise us. It is in the nature of music to flow and to spread. Partition is not its natural condition. The third borderland I visited was Abkhazia, whose political status, as everyone knows, is contested. For Abkhazians, theirs is a politically independent country, albeit heavily dependent economically on Russia. Yet for Georgians, and for most of the international community, it remains an occupied part of Georgian territory; it is Georgian. This is not so much a political boundary dividing a shared culture as a cultural border dividing an officially unified polity. In any case, however you view the politics, there is in truth a considerable cultural space between Georgia and Abkhazia, and it goes without saying that it has been consciously widened in recent years. The Abkhaz language belongs to a Northwest Caucasian group, entirely separate from the Georgian Kartvelian group, and it has especially close affinities with Adygean. 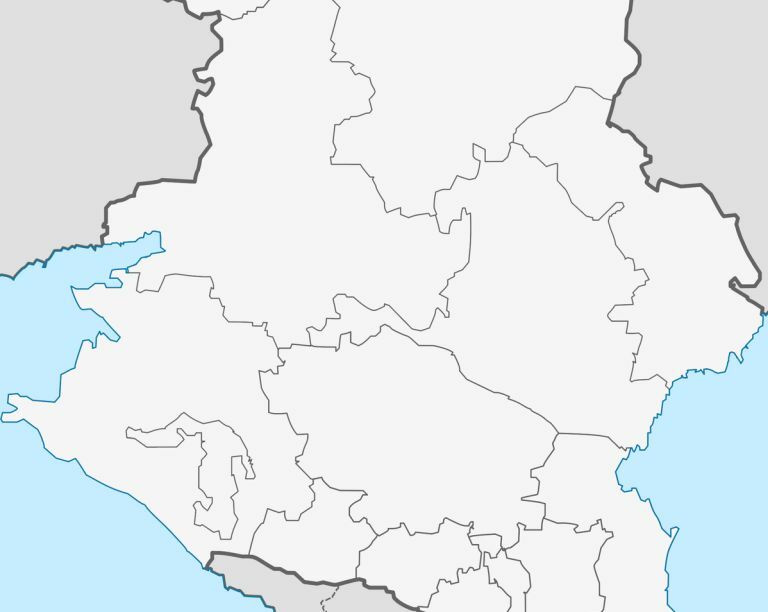 Indeed the term ‘Abkhaz-Adygean’ is sometimes used to describe this western branch of the language, and the term also has a wider cultural resonance. The remnants of Circassian culture in the Caucasus today exist within a triangular nexus formed by Sukhum, Maykop and Nalchik, the three capitals of Abkhazia, Adygea and Kabardino-Balkaria respectively, though there are lower-level activities in Cherkessk in Karachay-Cherkessia, and especially among the Abazin populations there (it should be emphasized that Circassian peoples are in a minority in these homeland territories, and especially in Adygea). Of my several encounters with traditional music during my stay in Abkhazia the most memorable was a vodka-fuelled rehearsal by one of several secondary ensembles that were established there during Soviet times. The ensemble is called Gunda, after a female character in the Nart sagas, which might be considered the originary epic of Circassia, and of the North Caucasus more generally. Incidentally, the distribution of Nart corpora also speaks very powerfully of a shared Abkhaz - Circassian culture, and there exists a body of mid-twentieth-century recordings of Nart epic songs, notably by the once celebrated Narta amateur ensemble of so-called ’long-lived’ men, founded in 1946 and directed by Ivan Kortua. The music performed by Gunda is far removed from these early recordings. Moreover, unlike the excellent Zhyu ensemble in Maykop, directed by the multi-talented Zamudin Guche, Gunda seldom performs the Nart songs, whose minimalist character, mantra-like repetitions, narrow tessitura chanting and ritual word-tone archaisms (‘woyra, woyra, woriyrariy!’) are distinctly at odds with the performance styles of today (they are best heard in traditional Adyge villages such as Shovgenovsk). Under their charismatic leader Rosa Chamagua, Gunda favours instead a heavily folklorized performance style, in the manner of the ensembles that once paraded their wares at festivals and competitions all over Soviet and Soviet-controlled territories. Yet it was still obvious to me that this music was much closer to Circassian than to Georgian traditions. And again I was reminded of the performances I had heard in the Circassian communities of Anatolia. Which brings me at last to Turkey. In the early evening of 22 May last year I joined several hundred Abkhazians and Circassians in the Turkish city Kayseri for their annual ‘genocide day’ commemoration (the day itself is actually 21 May). 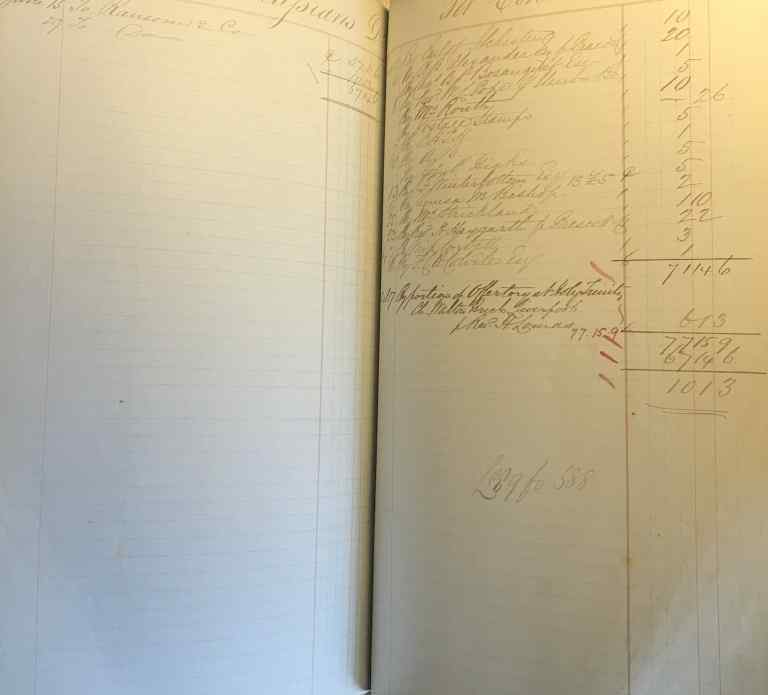 The genocide in question (though there are the usual queries about the term) took place in the mid 1860s, with 1864 as the key date. 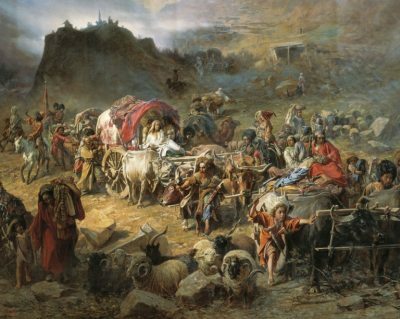 In the wake of a comprehensive defeat of the legendary Dagestani warrior Imam Shamyl in 1859, Russia engaged in a campaign of destruction and deportation, marking a definitive stage in its conquest of the Caucasus. At this point vast numbers of Circassians were exiled to Anatolia, and Abkhaz Muslims were expelled shortly after. The preservation and subsequent reconstruction of their cultural identities in the Ottoman world was a long, arduous and defensive process. But it was driven throughout by a powerful sense of that original injustice. 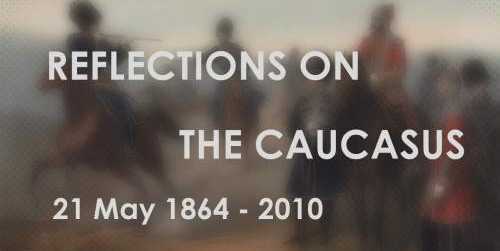 The imperative was to counter the injustice through the reconstitution of an ethnic memory. Preserving the culture – the cultural nation – was a political enterprise from the start. The events in Kayseri began with an organized walk. We made our way northwards along Mustafa Kemal Paşa Bulvarı, and then, describing a kind of extended arc, into Ayvacık Caddesi until finally we arrived at the Kadir Has Kongre Merkezi ve Spor Kompleksi for the formal part of the ceremony. Distinctive green Circassian flags were held aloft during the walk, along with innumerable placards, some referring to the genocide itself, others calling for a wider international recognition of Abkhazia. The mood was festive and good-humoured, and it was soon clear that this is a tight-knit community, one where people know each other well. At the main auditorium the events of the 1860s were evoked through a lengthy representational sequence, involving old photographs, film, dance, music, poetry and mime, all clearly designed to draw together the public and private dimensions of the massacres and the subsequent expulsion, in the course of which many more died. The more monumental aspects of the history were certainly on display, but there were also vignettes depicting the impact of these events on domestic life. It was an impressive programme, and it became genuinely moving at the end, when the Imam gave a final benediction in the mother tongue, long banned from the mosques of Turkey. At this point, among the older generation, tissues began to make discreet appearances. 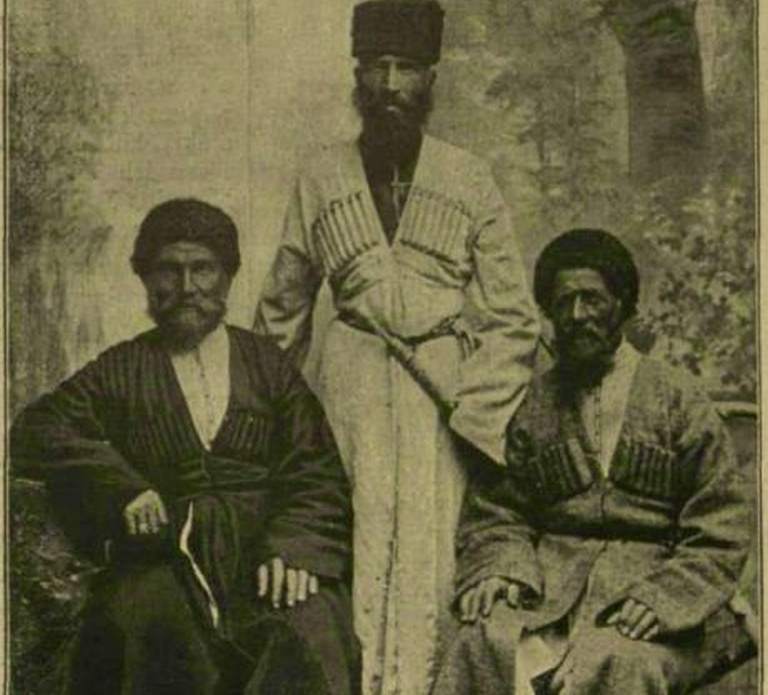 In considering the Circassian narrative it is hard not to be struck by the parallel with Armenians in diaspora, albeit with oppressors (Turkey and Russia) and faiths (Christian and Muslim) standing in something like an inverse relation. There are similar stories to tell about the nation-defining role of the genocides, especially in light of non-recognition by respective perpetrators, about the ambivalence that attaches itself to concepts of home(s) and of return (more recently, the Internet has transformed this latter concept), about the key roles of language and music in validating the diasporic nation, about the ‘second generation’ effect beloved of exile studies more generally, and about an internal east-west division – with associated dialects – within the respective national communities. Even the outsider characterization of femininity constitutes a shared narrative. Naturally there are differences. Despite their best efforts, Circassians in diaspora arguably lost the battle for language, and partly for this reason music and dance have assumed primary significance in defining their culture, albeit in a homogenized form that can rather easily fall prey to exoticist readings by host communities. 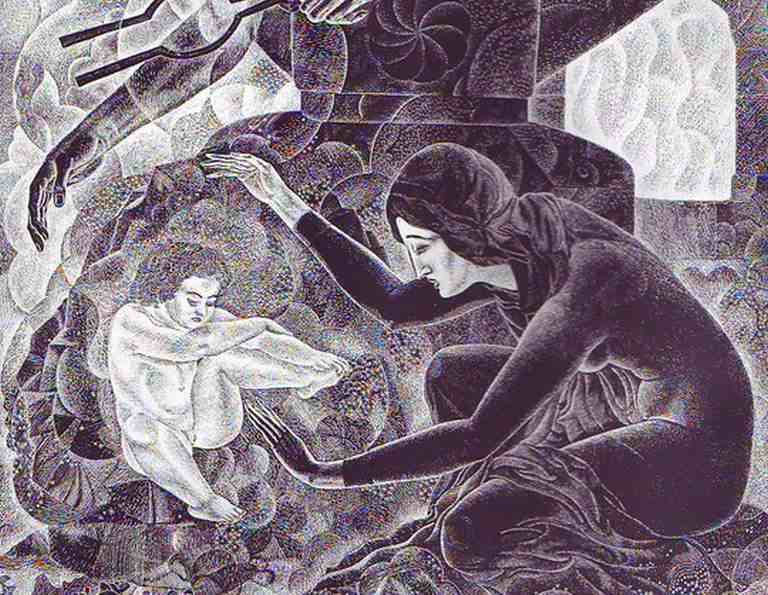 In comparison, as Sylvia Angelique Alajaji makes clear, the Armenians, and especially the Lebanese Armenians, secured the language and quickly harnessed it to the national cause. Another crucial difference is that the entire world knows about the Armenian genocide, while the Circassian story struggles to be heard, as does, incidentally, the story of the Crimean Tatars, to cite another viable comparator. There is an asymmetry of visibility, and we may well ask why. The significance of Kayseri for the Circassians is that it is placed strategically on one of two rather distinct lines of migration across Anatolia followed by the original Circassian settlers. The western line, taken by those who landed at the port of Kefken, near Düzce, crosses to Bursa, and proceeds from there down through Karıncalı and Manisa to Izmir on the Aegean coast (there are Circassian writings on the walls of a large cave near Kefken where many of the refugees initially sheltered). The eastern line begins at the ports of either Trabzon or Samsun (in some cases also Sinope) and takes in Sivas and Kayseri before making its way down through Kahramanmaraş and Hatay to Israel, Jordan and Syria. Circassian communities can be found at various points along these two lines of travel. Needless-to-say, this is a somewhat oversimplified mapping. There was in reality a much wider dispersal, and in numerous cases there was secondary displacement and renewed settlement. But the model does have some explanatory value when we look at the geography of the diaspora in Turkey today. 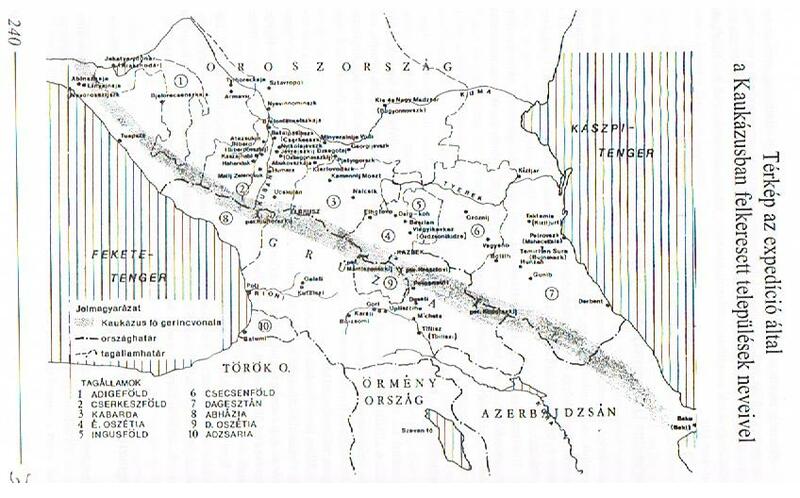 The Western line was made up mainly of western Circassians, including Abazins and Ubyks, while the eastern line was mainly Kabardians. There are significantly different musical idioms between these two groups – indeed there is a preference for dance in the eastern line and for music in the western – but I will pass over that here. By any account, Kayseri is of central significance for Circassians. The present-day Circassian population of the city was initially based in around seventy villages in the nearby district of Uzunyayla, with the process of settlement intensified following the Russo-Circassian war of 1763-1864. The layout of Uzunyayla, and in particular the names of its villages and streets, has been examined in a project on ‘landscapes of memory’ by Eiji Miyazawa, focusing especially on how changes in the names spelt out changing connections between the ancestral homeland and the adopted homeland. Miyazawa documents the on-going defensive struggle to maintain an ethnic identity, a process he regards as both heavily contested within the community and of its nature incomplete. Yet, however much a separate Circassian identity may have been subject to internal dissension and the politics of envy in this and other relatively closed communities (bearing in mind the tribal diversity of these peoples), it was preserved in a relatively stable state in the late nineteenth century, and for much of the subsequent history of the diaspora. This did not preclude Circassians achieving distinction within the ranks of the Ottoman administration and military, but it did mean relatively little intermarriage with the Turks, and even a form of Islam that was essentially different from Ottoman traditions (many of the Imams had studied in Egypt). 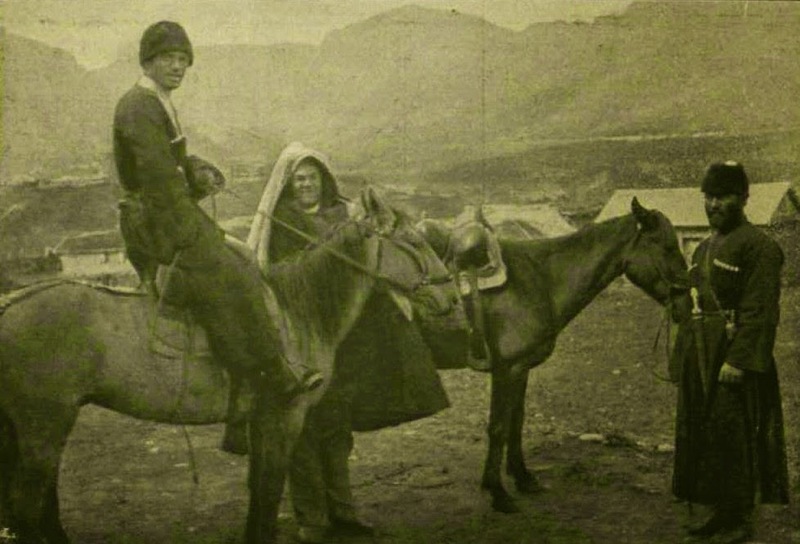 The Uzunyayla villages in particular were insulated from their immediate surroundings. 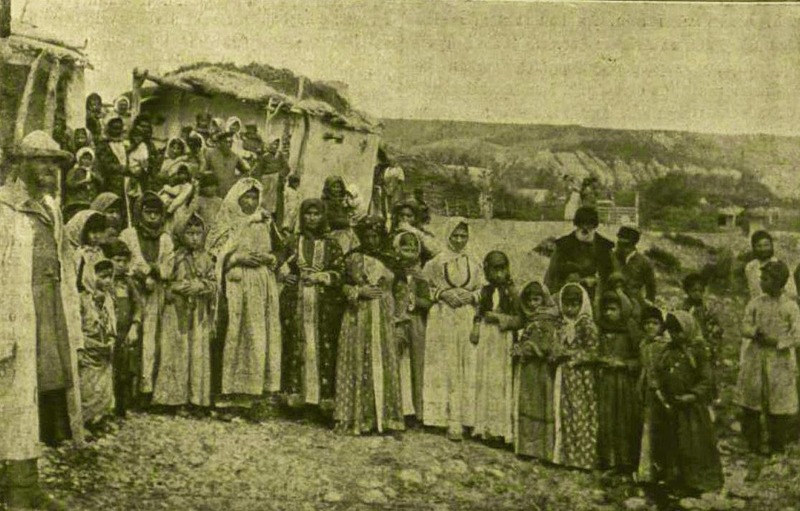 Aside from living ‘in khabze’ (a ubiquitous, if untranslatable, Kabardian word embracing traditional values and customs, codes of etiquette, property and inheritance, and the pedigreed practices of hospitality and of everyday social life), their population, including the younger generation, spoke the mother tongue, even when they became Turkish citizens with the establishment of the Republic (which limited their language rights), and this remained the case until the 1980s. At this point things began to change, partly because of a renewed Turkification of both schools and mosques, and partly because, under the more general imperatives of modernity, Circassians from the villages began to drift towards the cities, with a consequent weakening of the oral tradition, and increasing intermarriage with the Turks. Today the villages of Uzunyayla are largely depleted, and it is only in summer that people return there to tend their plots. 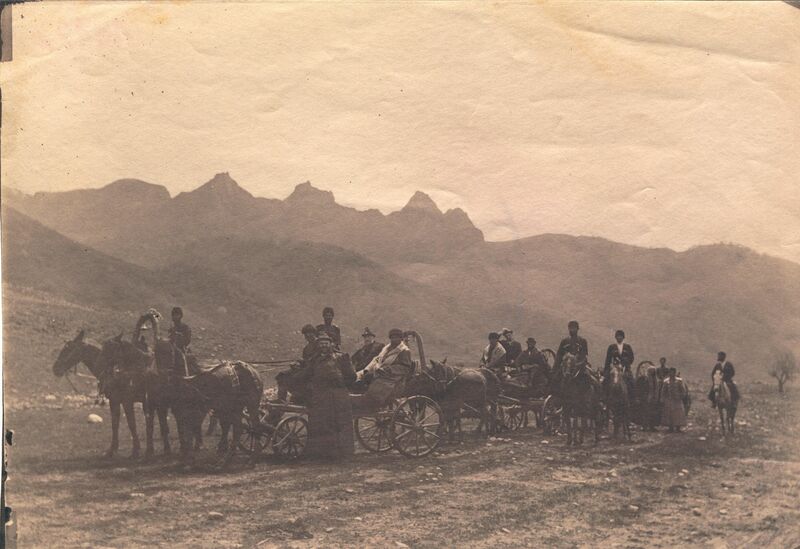 It is generally considered that the move to the cities (Ankara as well as Kayseri) was hugely detrimental to a strong sense of Circassian identity, mainly because the younger generation developed more and more points of contact with their coevals in the Turkish community. 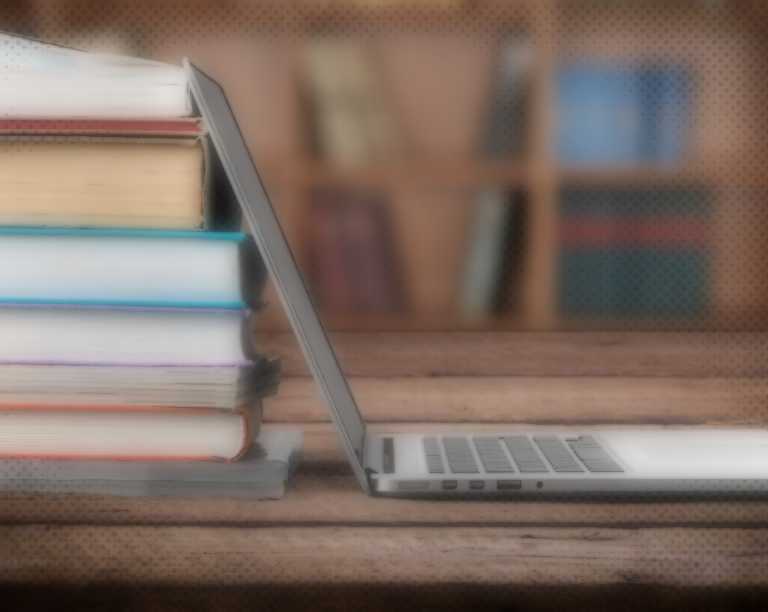 In the terms adopted by some critical theorists, genealogical thinking (the ways of the fathers) began to yield to a form of generational (or cohort) thinking associated with a shared, and increasingly global, youth culture. Ironically enough, this tendency was reinforced by the pedigreed separation of the generations in traditional Circassian society; even in modern households today, it is deemed inappropriate for a daughter-in-law to initiate conversation with the man of the house, for example. This opening out to Turkey has continued apace, but after the break up of the Soviet Union, there has also been a contrary process, as Circassians have simultaneously closed in on themselves, renewing their culture, re-investing in its traditions, and re-forging a sense of national identity in defiance of assimilationist tendencies and policies of Turkification. The process was facilitated by easier travel to Sukhum, Maykop and Nalchik, by the renewed possibility of direct dialogue between the ancestral homeland and diasporic communities, and – as recently as 2013 – by the government’s eventual acceptance of Abkhaz and Adygean as official minority languages (it should be stressed that even those younger people to whom the language is lost can preserve a cultural identity through investment in khabze). This cultural renewal was no longer a matter of preservation but of reconstruction, and the prime movers in the reconstruction were the Circassian Associations. The associations were really products of the migration of Circassian populations to the cities, and they effectively set out to recreate the villages within the cities by re-vivifying the culture, albeit in a newly homogenized form. There are more than sixty such associations in Turkey today, networked through the Federation of Circassian Associations in Istanbul and the International Circassian Association in Nalchik. The Association movement began with a single dernek (association building) in the early twentieth century, but it mushroomed in the post World War II era, albeit facing a difficult period following the 1980 coup d’état. Today the associations function in part as social gathering places, with young people spending much of their free time in the cafés and restaurants of the dernek, all serving traditional Circassian food, notably the distinctive ravioli-like çerkez mantısı, filled with either potato or meat and served with ‘red sauce’. Kids grow up in the shadow of the dernek and develop many of their early friendships there. But the associations further provide platforms for ethno-cultural debate, and they have often been linked with political radicalism, to the extent that Circassians from the villages sometimes look on them with disapproval. They are also centres of education, offering language classes and employing teachers from the Caucasus to give lessons in music and (especially) dance. The double process I have described here – opening out and closing in – is mirrored rather precisely by the fates of language and music respectively. Thanks to the opening out, many young Circassians no longer speak the language. And precisely because this crucial identifier is now widely considered a lost cause, music and dance have become correspondingly more important in reconstructing the culture. That represents the closing in. The derneks I visited in Kayseri and Ankara each had a large hall with a wall-length mirror, specifically for the dance classes that take place every weekend. Since the early 1990s, it has been customary to bring (and to pay) professional teachers from institutes and colleges in the North Caucasus to instruct the children and to work with the local ensembles. Accordingly the level is high (professional standard), and the ensembles in both cities give regular public performances. While in Kayseri I watched classes given to around forty children under twelve and also attended rehearsals by the dance ensemble Ashemez (another Nart character), accompanied by members of the music group Maze, whose leader, Kayhan Demirci , is an Abkhazian. Likewise in Ankara I caught a full-dress rehearsal for a public performance to be given by junior members of the resident ensemble Badin, led by Şamil Dinçer. The costumes are worn with pride, bearing in mind that until 2008 the cherkessa was technically banned under the Turkish ‘hat law’. To watch these rehearsals is to witness up close just why this highly stylized model of folklore (positively balletic in its poise, elegance and artistry) can function so effectively as a means of reconstructing a cultural identity. It homogenizes team behaviour, unifies group ideologies, encourages pride in the group, demands commitment, and promotes a work ethic. These dance ensembles, with their elaborate choreography, conformant costumes and routines of rehearsal, constitute structures of sociability and solidarity. They work to affirm and reinforce the attitudes and prejudices associated with Circassian identity, and at the same time they bolster resistance to any undermining of that identity by assimilationist pressures. And it all starts young. Small children have little investment in the cause, and as any advertising agent knows, the lower the investment in the product, the more effective the propaganda. And by the way, there is a further consequence of this strengthened collective identity. It renders the group an easy target for exoticist agendas on the part of the host community. Several Turkish acquaintances of mine told me how much they enjoy these full-costume dance performances, just as they appreciate Circassian food, and the fair complexions of the (mythically beautiful) Circassian women. The performances I witnessed in Kayseri and Ankara were polished and professional. They were highly formalized, mixing line and (open) circle dances with couple dances, but also allowing for bravura male solos, notably en pointe (Adygean “lheperischw”). Gender separation was instantly apparent, with the positioning of the woman at once symbolic of domestic centrality and modesty, and suggestive of a traditional obligation on men to protect the women. In Kayseri I saw mannered depictions of several stages of the wedding ceremony, including the procession of the bride as she is escorted to her new home and the “Niseyiish” dance, where she is welcomed by her future inlaws. In Ankara I observed the stately Knight’s dance “Qafe”, the fast tempo “Shishan”, and numerous versions of the ritual dance “Wuig”, some performed as circle dances, others as couple dances. In all cases, the accompaniments, lively if unvaried, were provided by the familiar duo of Pshina (accordion) and Pxachich (clappers), but with the occasional addition of a Shik'epshine (similar to a kemençe) in Kayseri, and with energetic input from the Doul (frame drum) of Şamil Dinçer in Ankara. There was a frisson when Auledin Dumanish, one-time director of the Nalchik state ensemble Kabardinka, visited the dernek in Kayseri on the Sunday afternoon following genocide day and briefly participated in the dancing. It is obvious that these performances have little to do with the traditional wored-s (songs) of the “long-lived” men of Circassia, however much lip service may be paid to the values of that primary practice. As in Georgia, there existed in Abkhazia and the Circassian lands a rich tradition of music connected to everyday life, including work songs, ceremonial songs (especially hunting songs), lullabies and laments, with the latter two traditionally the preserve of women. Mostly these songs were monophonic, but some were traditionally sung in two- or three-part polyphony, and even the monophonic songs often have either a vocal refrain in parallel fourths or fifths or a multi-part instrumental accompaniment. Here we might note that while North Caucasian polyphonies remained distinct in idiom from Georgian counterparts, Abkhazia had points of contact with both. 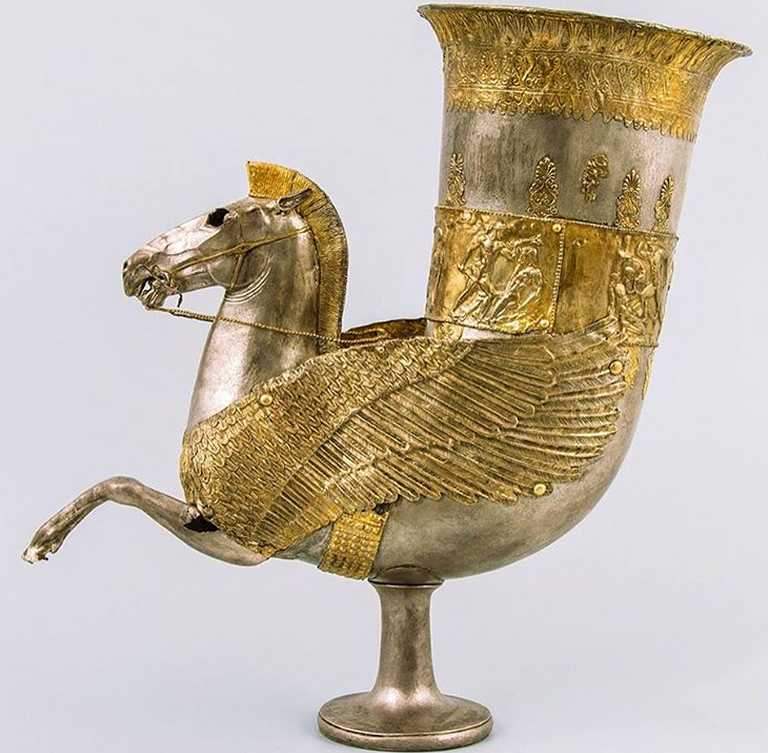 Of the various northern traditions it was proximate to ancient Ossetian styles in particular, for reasons that are not entirely clear, but there were also, predictably enough given the geopolitics of the region, shared characteristics with Mingrelian idioms that are today considered Georgian (Mingrelia was part of the medieval Abkhaz Kingdom). Short-breathed phrases, a high level of repetition and a background pulse often articulated by clappers are characteristic. In addition to these repertories of ritual song, there were epic songs referencing Abkhaz and Circassian histories, often performed as stridently recited poetry with semi-improvised accompaniment. 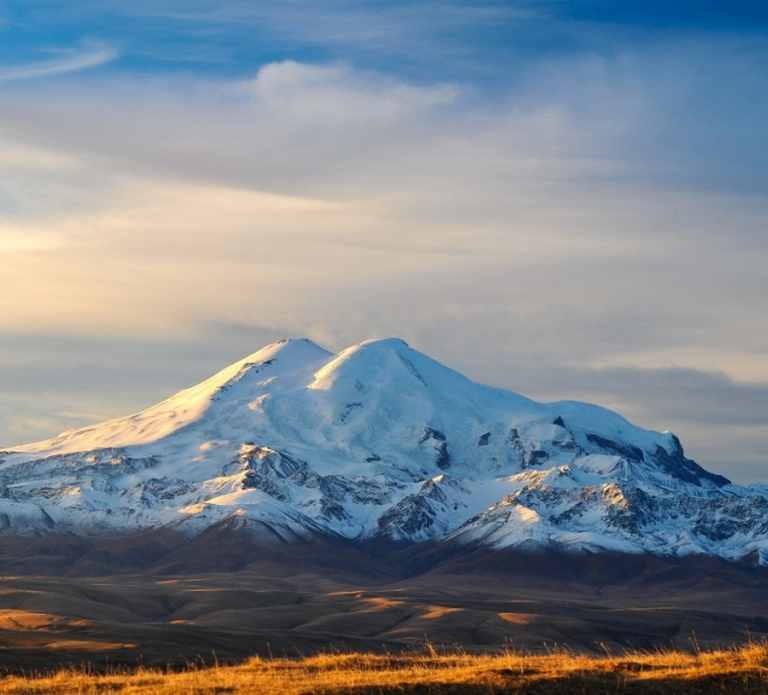 These songs are a reminder of a bardic tradition that was once widespread across the Caucasus, inviting comparison with epic traditions both to the north (Russia) and to the south (Turkey). Again as in Georgia, it is hard to pinpoint a starting point for the folklorization of Abkhaz-Adygean traditional music, given that from an early stage music was associated with particular families (in Abkhazia) and villages (in both Abkhazia and Adygea), which established and maintained a reputation for excellence. In other words, an ethos of professionalism had deep historical roots in these lands. But in the early twentieth century there was something of a step change, and this included the emergence of a star system, with legendary singers and instrumentalists beginning to appear, some of them leaving a recorded legacy. Soviet ideology played its customary role in this, of course, but it was by no means a sole cause. 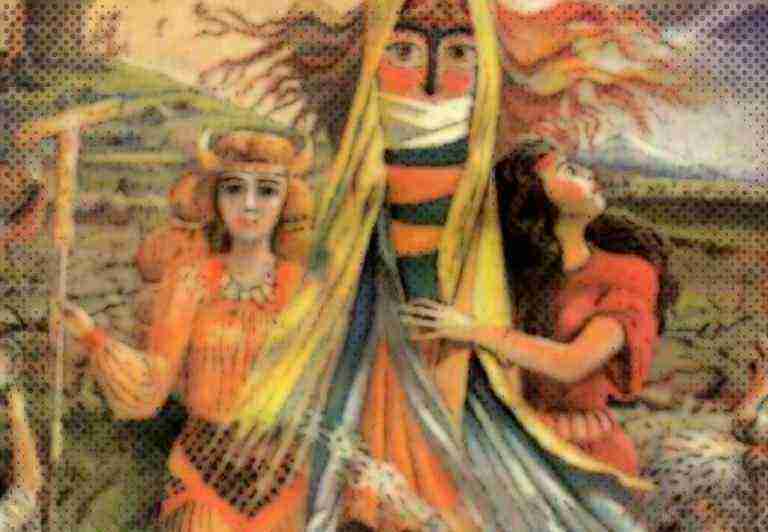 What it guaranteed was that a distinctive folklore movement appeared some time before such movements became commonplace, indeed all but universal, in the aftermath of World War II. And it had one other effect. The hierarchy of values created by folklore – everyday singers, professional singers – ensured that right from the start there was an ambiguity at the heart of the collecting process in the sense that collectors invariably sought out the best singers. 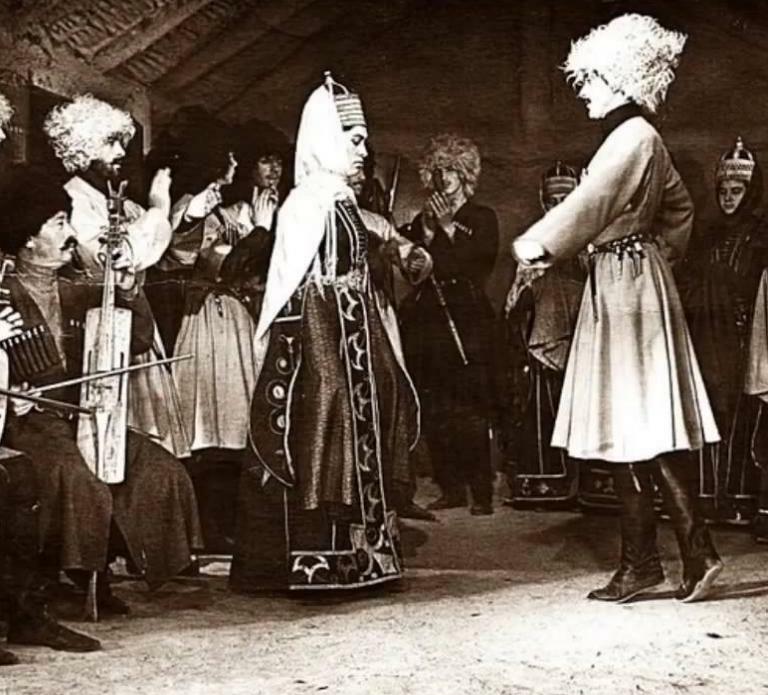 Undoubtedly the stylized performances of the Circassian ensembles in Turkey owe a great deal to this earlier folklore movement, which followed much the same pattern in the Abkhaz-Adygean lands as elsewhere in the Soviet Union. A professional or semi-professional genre of “folk music” was constructed on the ground of a traditional musical culture that was simultaneously made the subject of extensive collection and intensive study, and all informed by a mixture of ideologically driven and genuinely disinterested (scholarly) motives. The tasks in the Soviet Union were threefold: to map out regional musics on a systematic basis, to arrive at theoretical principles for the description and classification of those musics, and to render traditional music applicable to the modern urban world, which meant creating new institutions to support it. Of the three, it is the last that has informed the movement in Turkey, and especially in respect of dance. 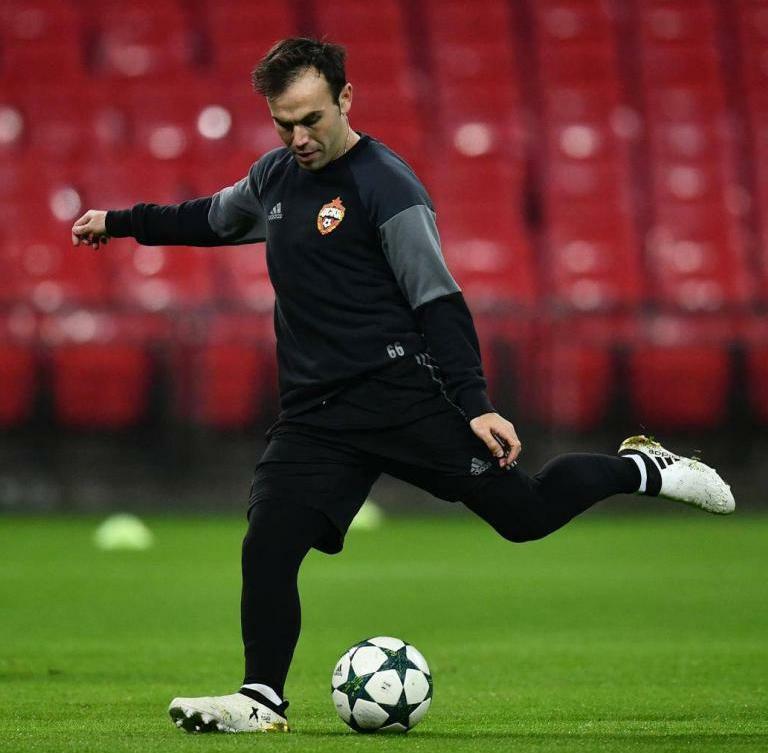 It is noteworthy that the choreographing and training of the dance groups in the North Caucasus often involved practitioners from long-established Russian traditions of classical ballet, and the results were transmitted in turn to the ensembles in Turkey. In short, the song and dance ensembles might best be considered simulacra, rather as Jean Baudrillard understood this term. They simulated a reality that was not (or was no longer) there, gathering a cluster of separate elements into a largely synthetic whole. Inevitably, there has been a further layer of modernization in more recent years. Traditional instruments are still used, but not exclusively. A modern clarinet appeared at one concert I attended in Kayseri, as well as an electric bass guitar. And as the latter instrument suggests, there is a similar fluidity as to style. Circassian ethno-pop is now a recognized genre (with notable stars such as the Canadian-Circassian singer Aslan Gotov and the well-known chanteuse Svetlana Kushu), and it is not uncommon for Circassian concerts to host star singers and accordionists with synthesized backing in which the clappers have been replaced by the familiar reproduction drum kit. Provided the music is recognizably an emblem, a badge, of Circassian identity – and the ubiquity of a specific accordion style is key here – many genres are possible, and may even be juxtaposed at a single event. One Turkish doctoral student at Erciyes University described to me a so-called Uzunyayla Fellowship Night in Kayseri, in which a music and dance ensemble from Ankara shared the platform with a well-known Circassian pop singer. And in an interesting twist on the politics of language, the singer included some Turkish popular songs in Circassian translation. My final remarks are about return. For long enough the native soil – the idea of it – exerted a powerful influence in absentia on Turkish Circassians, with children encouraged to ‘turn their faces towards the Caucasus’ from the earliest age. But the reality of a Caucasian homeland, known only to their distant ancestors, remained inaccessible. Then, with the break-up of the Soviet Union, this too began to change. Again the associations were instrumental, acting as important channels to the ancestral homeland, working as facilitators for the repatriation committees, arranging cultural exchanges and excursions, and hosting visiting academics and tour groups from Nalchik or Maykop. Initially membership of a music or dance ensemble was one of the easiest and most practical ways for young people to visit both the North Caucasus and Abkhazia. These early returns had something of a pilgrimage character (the Mecca analogy was often made). They were testing grounds for the matching up of image and reality, and as such they were invariably highly charged emotionally. But they also provided opportunities for cultural transfer, and in both directions. The familiar exilic trope of cultures preserved in diaspora and then transferred back to the homeland was active here too. 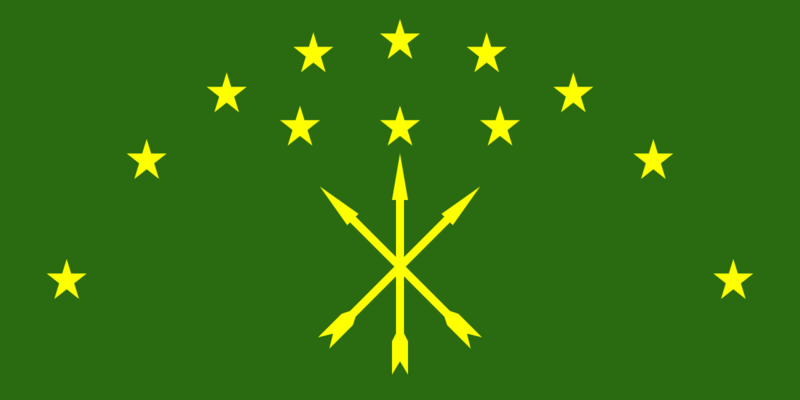 It is now common enough for Circassians in Turkey to return to the Caucasus. 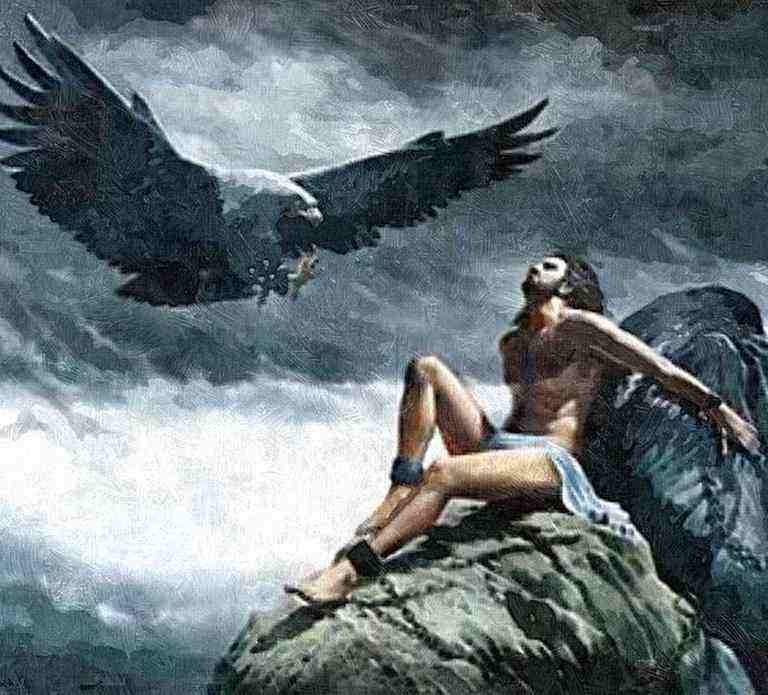 But, as Jade Cemre Erciyes notes in an admirable study, return can mean many things. There is a spectrum: occasional visits, ‘virtual return’ through the Internet, a transnational vie bifurquée (involving a hybrid identity), and finally full settlement, though there are obstacles of different qualities – legal, bureaucratic, political and emotional – to full settlement. Making choices is by no means straightforward, not least because there are certain essential differences between the profiles of home and diaspora communities, mainly concerning the role and importance of Islam. Very broadly, religion is a much more fundamental dimension of Circassian identity in Turkey, at least for older and middle generations, than in the Caucasus (as I saw for myself, the Imam is a figure of veneration in the associations). 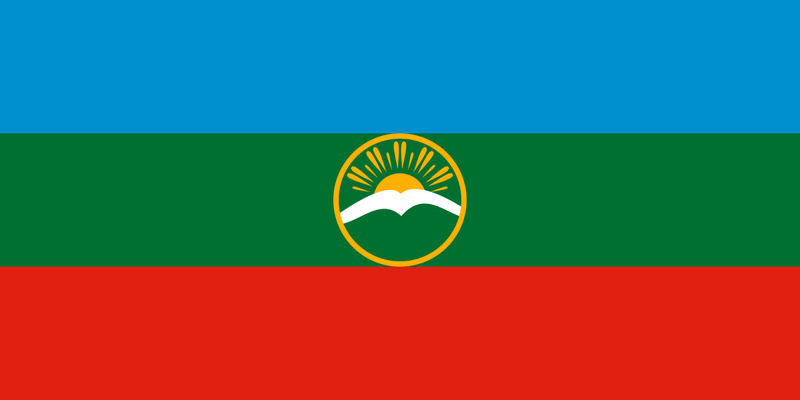 One informant told me that he was in the habit of telling people in Nalchik that they needed to learn from the diaspora in this respect (‘they are all atheists there’), just as the diaspora Circassians could learn more about the particularities of Adigag (which incorporates khabze and is virtually a religion in itself) from Maykop and Nalchik. Such differences can prove unsettling – sometimes literally so – for those who travel in either direction. There are generational differences, too, though I will pass over those. And there is reverse nostalgia, of a kind I have also encountered among returnees in other cultures, including the Crimean Tatars. What I think potentially emerges from these reflections is a sermon on culture and nation. One obvious inference is that culture and nation are functioning here in counterpoint. But counterpoint is not the same as opposition. To be synoptic, I propose that nations are not only political, and that cultures are also political. The stories of the Georgian borderlands and the Circassian migrations have in common politically motivated appropriations of culture. In the Georgian borderlands such appropriations were initially external to the practice. But practitioners themselves can be rather easily converted, and when that happens the propaganda becomes self-propaganda, blissfully indifferent to any contradiction between what is claimed and what is truly believed (there really are nuances in all this). In the case of the Circassian diaspora it was self-propaganda from the start, and non-practitioners more often than not either ignored or misread the signals. I am quite unable to resist adding that according to Wikipedia, whose virtues were recently extolled by John Julius Norwich in an issue of The Times, self-propaganda can be a form of self-deception. Anzor Erkamaishvili, Director of the Rustavi Ensemble and Head of the International Centre for Georgian Folk Song, was in large measure responsible for preparing the ‘Chakrulo’ submission to UNESCO in 2001. As of today there are seven volumes of proceedings, all published by the Centre for Traditional Polyphony. 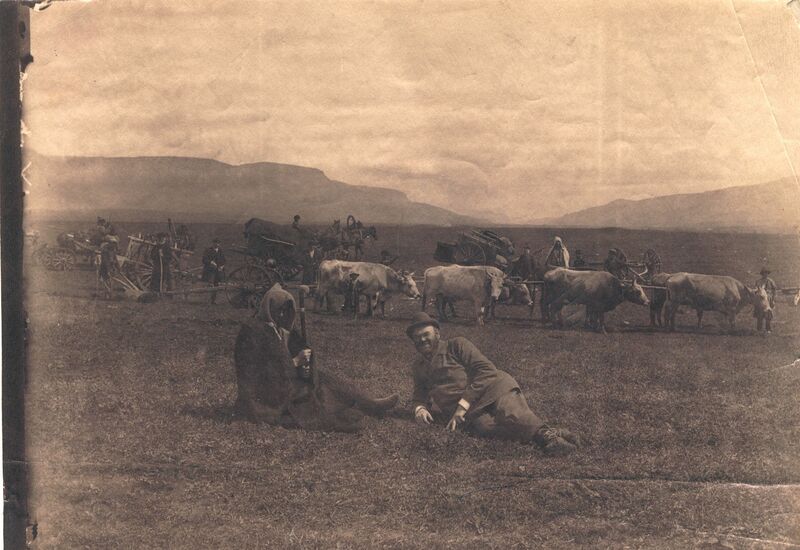 Already in the 1860s, the mountaineer and geographer Douglas Freshfield was struck by the distinctive singing of the Svanetians, and urged the collection of their ballads. 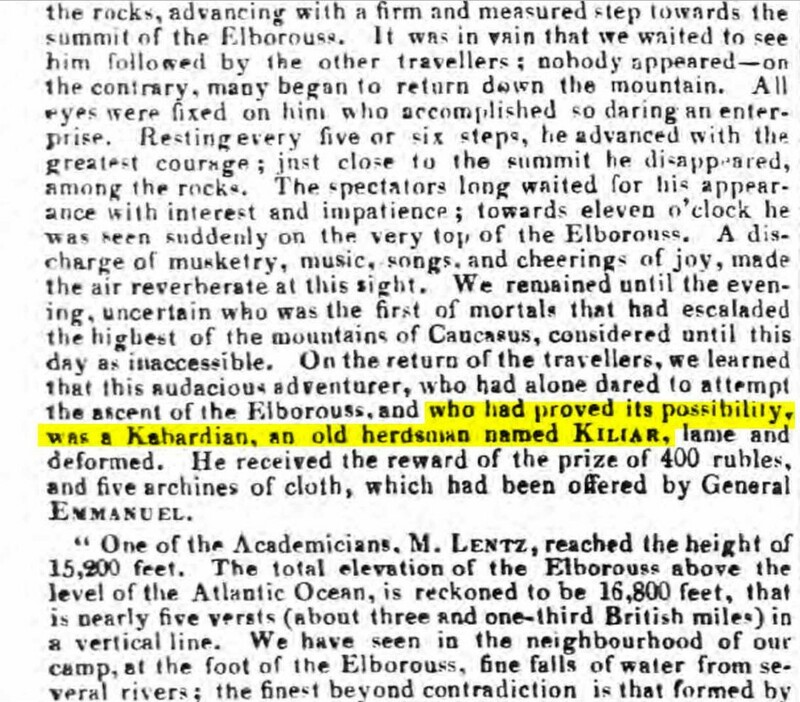 See D. Freshfield, Travels in the Central Caucasus and Bashan including Visits to Ararat and Tabreez and Ascents of Kazbek and Elbruz (London: Longman, Green and Co, 1869), vol. 1, 219. 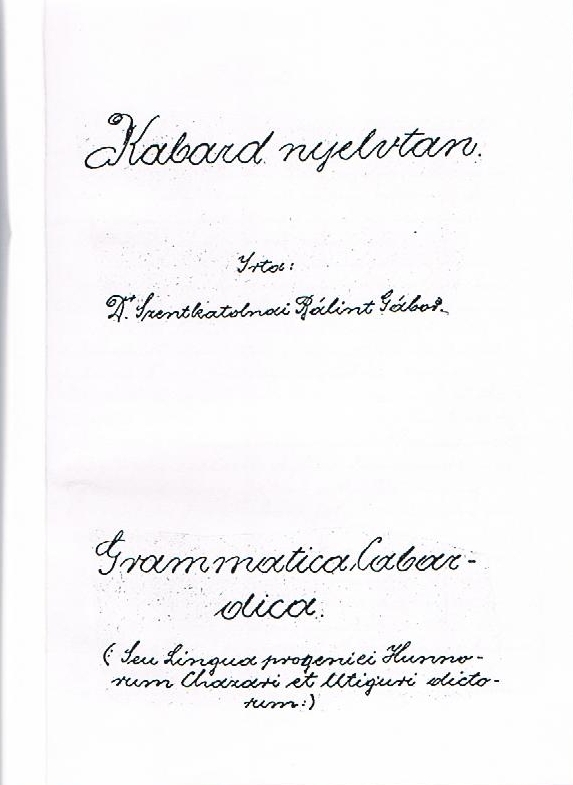 See, for example, the essay by Shalva Aslanishvili in R. Tsurtsumia and J. Jordania (eds), Echoes from Georgia: Seventeen Arguments on Georgian Polyphony (New York: Nova Science Publishers, 2010). Several students of traditional polyphony argue that the term ‘polyphony’ is inadequate for this kind of homorhythmic style. See, in the context of Russian traditional polyphonies, contributions to Les polyphonies populaires russes: actes du colloque de Royaumont (Paris: Éditions Créaphis, 1991). V. Nitsiakos and C. Mantzos, ‘Negotiating Culture: Political Uses of Polyphonic Folk Songs in Greece and Albania’, in D. Tsiovas (ed. ), Greece and the Balkans: Identities, Perceptions and Cultural Encounters since the Enlightenment (Aldershot: Ashgate, 2003), 192-207. The major anthology in English is J. Colarosso (ed. and trans. 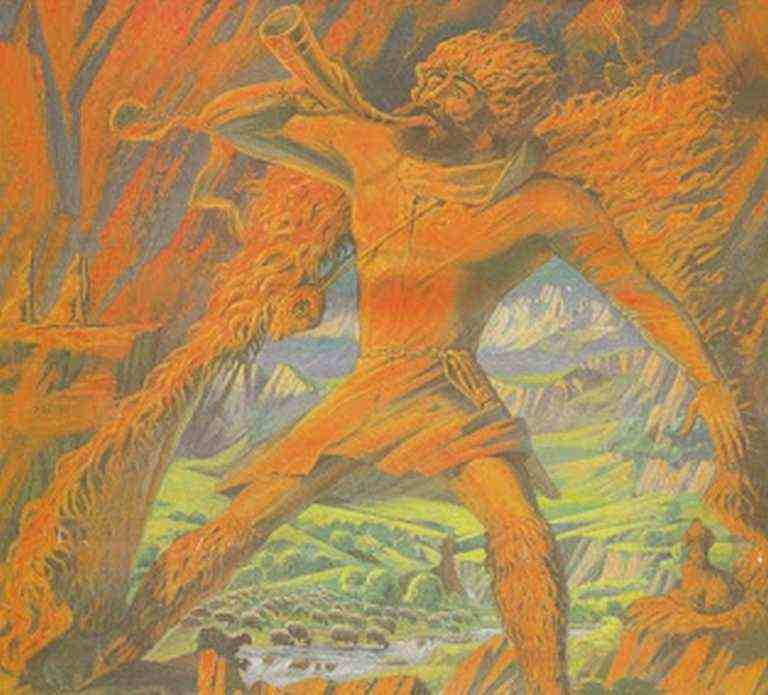 ), Nart Sagas from the Caucasus: Myths and Legends from the Circassians, Abazaa, Abkhaz, and Ubyks (New Jersey: Princeton University Press, 2003). The major studies of Abkhazian music are in the Russian language. 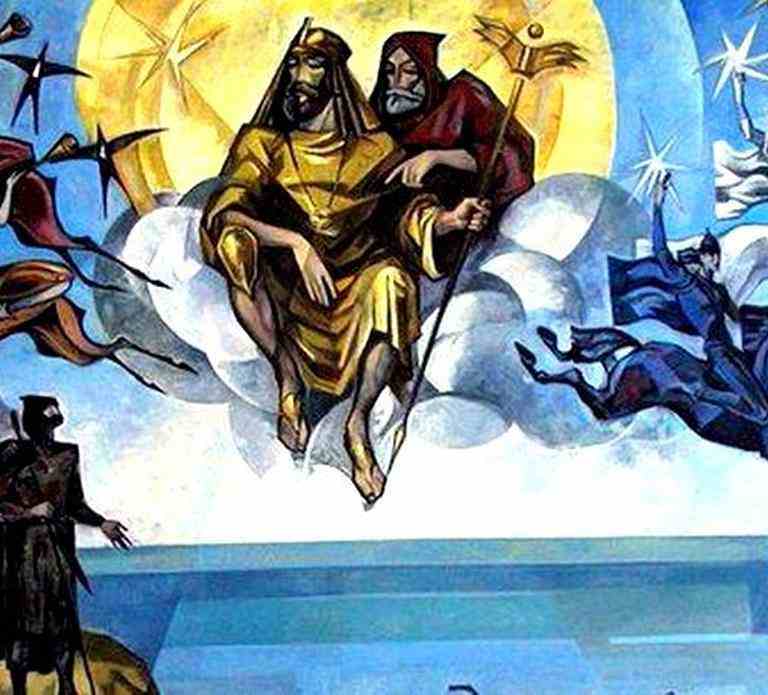 They include, М. М. Xaшба, Народная Музыка Абхазов: Жанры, Стилистика, Кросс-Куллтурные Параллели [The National Music of Abkhazia: Genres, Styles and Cross-Cultural Parallels] (Sukhum: Abkhazian Academy of Sciences, 2007) and Д. А. Чурей, Из Пессено-Инструментальной Традиции Абхазов [From the Vocal-Instrumental Traditions of Abkhazia] (Sukhum: Abkhazian Academy of Sciences, 2014). S. A. Alajaji, Music and the Armenian Diaspora: Searching for Home in Exile (Bloomington: Indiana University Press, 2015). 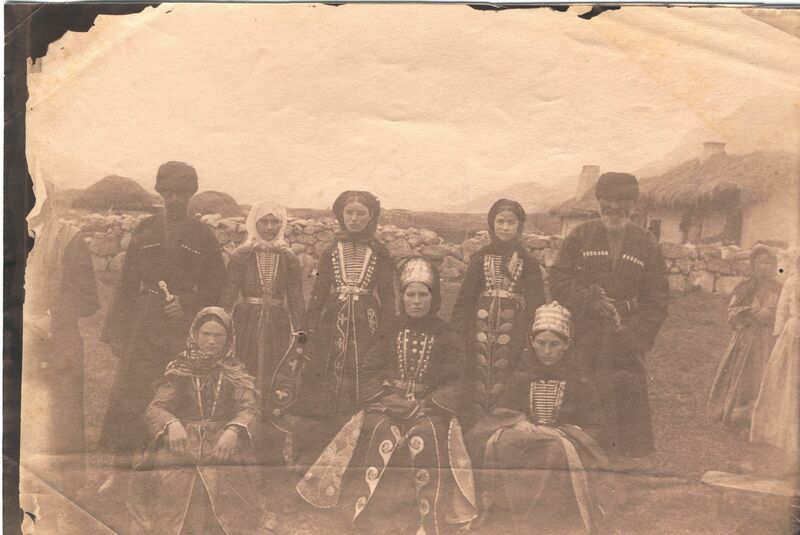 E. Miyazawa, Memory Politics: Circassians of Uzunyayla, Turkey. PhD Diss., School of Oriental and African Studies (London, 2004). S. Lovell, ‘From Genealogy to Generation: The Birth of Cohort Thinking in Russia’. Kritika: Explorations in Russian and Eurasian History 9/3 (2008), 567-94. Н. Д. Чанба, Героическая Хоровая Песния Абхаэов [Heroic Choral Songs of Abkhazians] (Sukhum: Abgiz, 2014). On the Russian tradition, see I. F. Hapgood, The Epic Songs of Russia (London; Constable & Co, 1915), N. Kershaw Chadwick, Russian Heroic Poetry (New York; Russell & Russell, 1964 ), and J. Bailey and T. Ivanova, An Anthology of Russian Folk Epics (New York and London: M.E. Sharpe, 1998). On the Turkish Ashik tradition (though not exclusively focusing on epics), see Y. Erdener, The Song Contests of Turkish Minstrels: Improvised Poetry Sung to Traditional Music (New York and London: Garland, 1995) and N. Kononenko Moyle, The Turkish Minstrel Tale Tradition (Bloomington: Indiana University Press, 1993). More generally, see K. Reichl (ed), The Oral Epic: Performance and Music (Berlin: Verlag für Wiss. und Bildung, 2000), and on the Balkans, see P. Bohlman and N. Petković (eds. ), Balkan Epic: Songs, History, Modernity (Lanham: Scarecrow Press, 2011). J. Baudrillard, ‘Simulacra and Simulations’, in Selected Writings (Cambridge: Polity, 1988 ), 169-87. J. C. Erciyes, Return Migration to the Caucasus: The Adyge-Abkhaz Diaspora(s), Transnationalism and Life after Return. PhD Diss., University of Sussex (Brighton, 2014). J. J. Norwich, ‘All hail Wikipedia’, letter to The Times (14 June 2015). 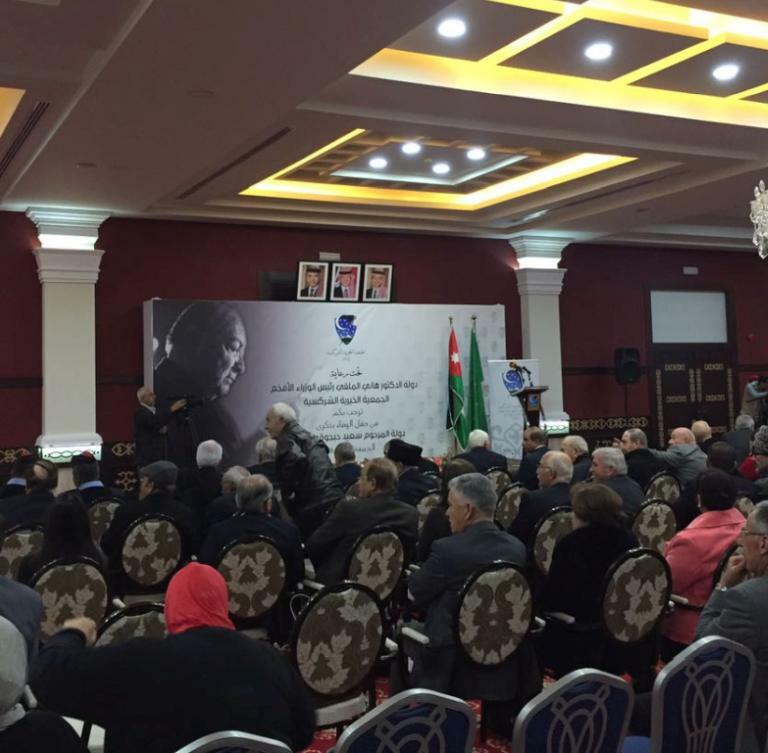 On 16 March 2018, the Circassian Association held a memorial event for Said al-Mufti (Habjoka), former Prime Minister of Jordan. Mohammad Azoga delivered the following speech (translated here by Tamara Mufti). It provides a snapshot of family and political life in the nascent Hashemite Kingdom and the central role of the Circassian community at the time. The Circassian World (CW) website was created in February 2005. The website has been offline since August 2013 and now, as of 1 January 2018, it is back online with an updated format to take up from where it left off. 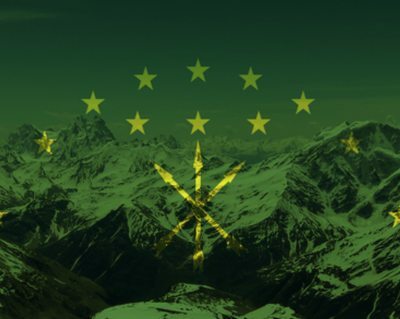 One of CW’s most important goals has been to create an informative resource website for Circassians and non-Circassians, who wish to learn more about the heritage, culture, and history of the Adyghe and Abkhaz people. Adyghe Xabze (or Khabze, Xabza) is an orally transmitted rigid and complex code in which customs and social norms were enshrined. This system of morals had evolved to ensure that strict militaristic discipline was maintained at all times to defend the country against the many invaders who coveted Circassian lands. 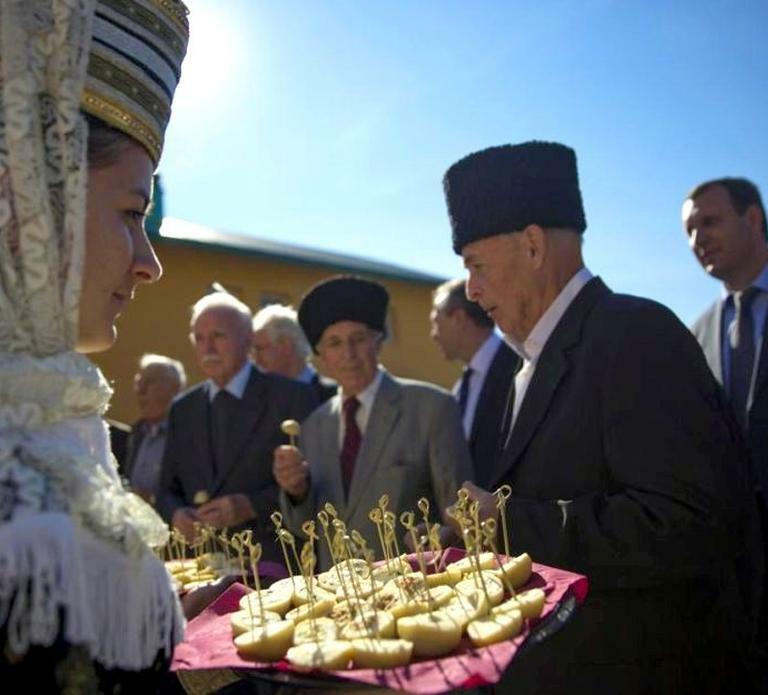 Circassian customs and social norms are enshrined in an orally-transmitted code called ‘Adyghe Xabze’—‘Circassian Etiquette’ [«адыгэ хабзэ»]. This rigid and complex system of morals had evolved to ensure that strict militaristic discipline was maintained at all times to defend the country against the many invaders who coveted Circassian lands.